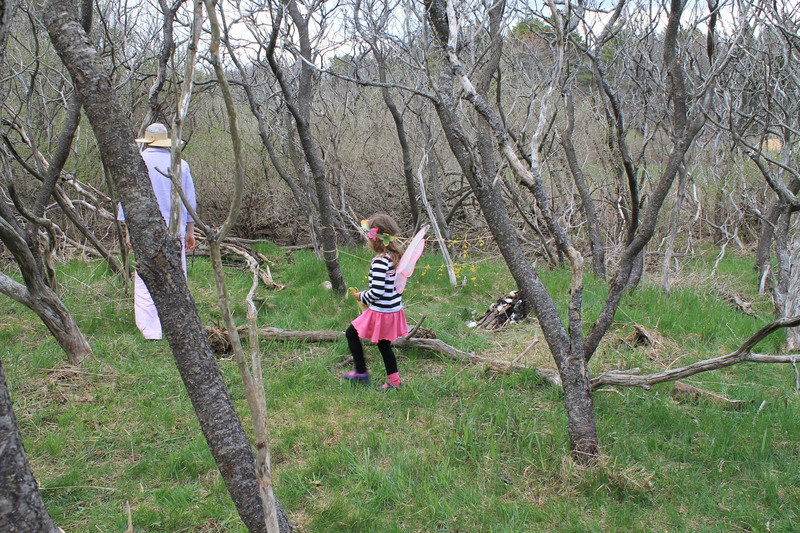 A friend recently invited us to Camp Ketcha, a non-profit in Scarborough that fosters environmental education, for their annual Fairy House Festival. 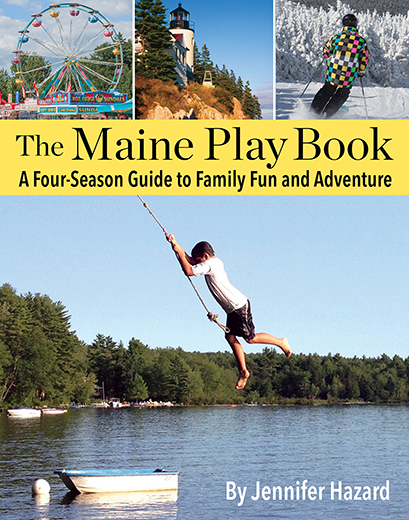 The spacious campground is an ideal place for kids to roam and play. 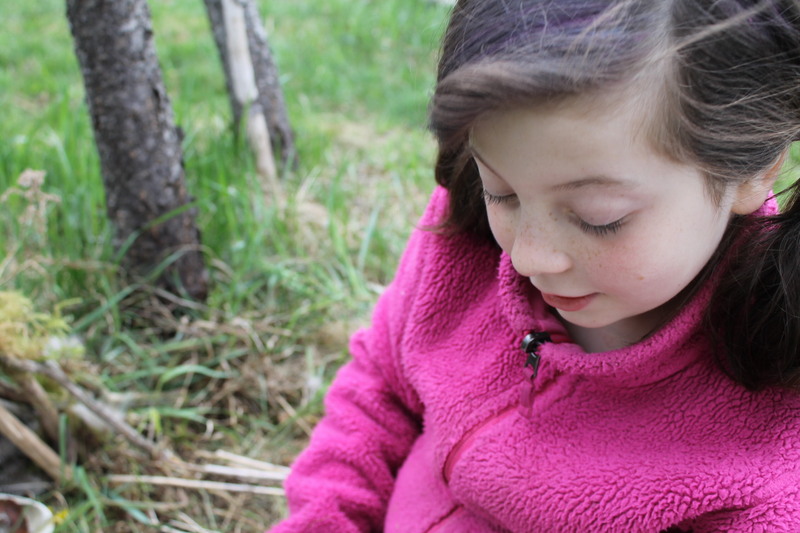 We brought along our own Fairy House Kit from from fairy house expert and writer Liza Gardner Walsh. The wooden kit contains everything a kid needs to build a house: feathers, sea glass, soft moss, and of course, glittery fairy dust! 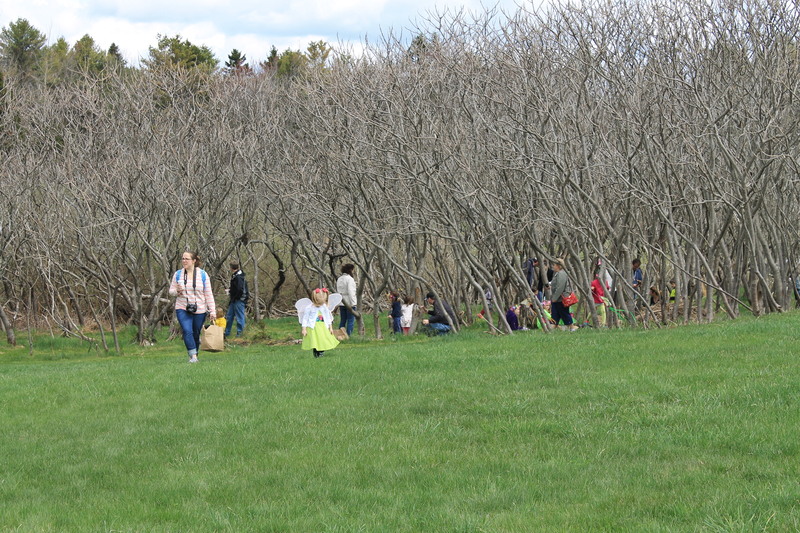 The wonderful staff at Camp Ketcha also had supplies on hand like Forsythia branches and pinecones. The CP kids were in fairy house heaven! We had a wonderful time at the festival. CP#1 and #2 used every last shell, pinecone, and feather in their kit. And the best part? The kids get to fill the box again with their favorite finds from our walks on the beach and in the woods. 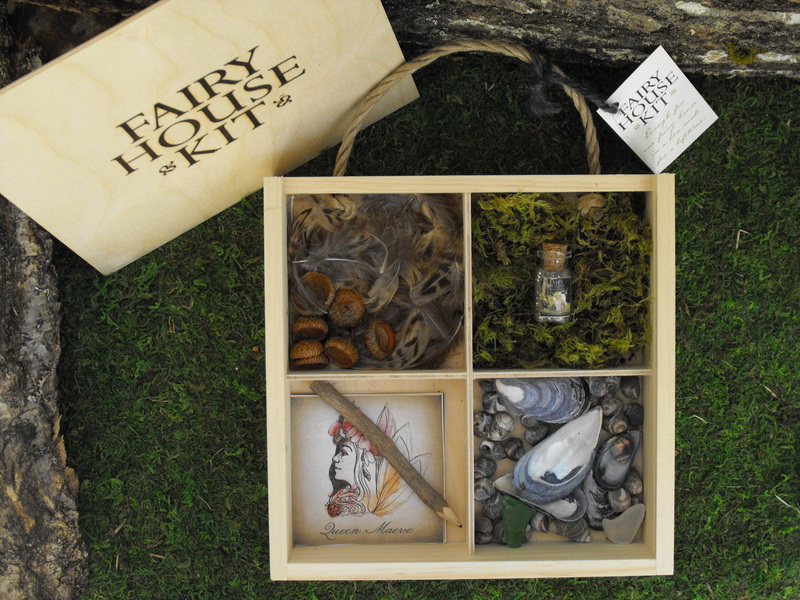 You can find Liza’s fairy house kits at some of our favorite places to shop: Daytrip Jr., Sherman’s Books & Stationery, the Portland Museum of Art museum store, the Belfast Co-op, and Coastal Maine Botanical Gardens store. 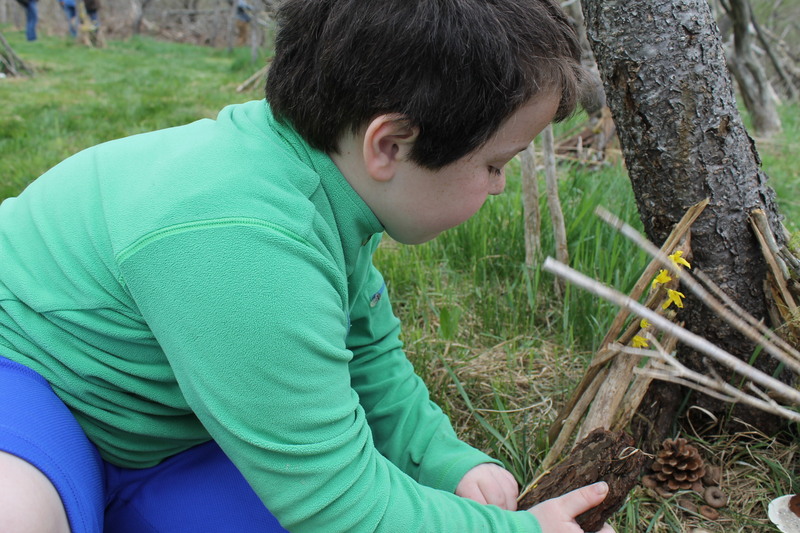 While we love building fairy houses in our backyard, our favorite place to date is the Coastal Maine Botanical Gardens fairy village. Hope to be back this summer! Wonderful activity for kids! 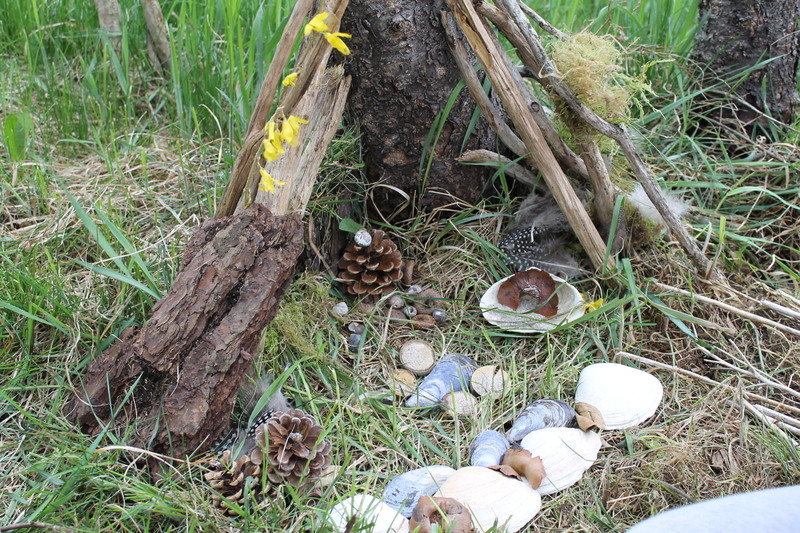 We love to build fairy houses at Mackworth Island.